Check out our game music on Bandcamp! See our games on Steam! Out now on Steam and itch.io! 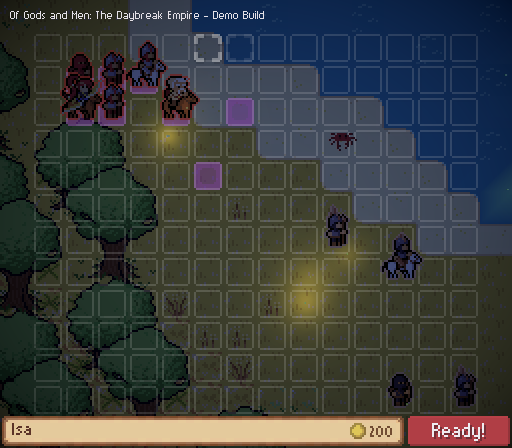 Of Gods And Men: The Daybreak Empire is a turn-based strategy RPG in the pixel art retro style of classic tactical games from the 90s and early 00s. We’ve mixed unit-based tactical combat, overworld territory management, a rich story-driven campaign in a unique fantasy world. The story follows Saaga, the leader of a backwater kingdom on the edge of Tamira, disillusioned with her place in a world of people governed by the whims of bored gods and greedy lords. But when a general from the mainland comes to her begging for help, a chain of events is set off leading her on a path of war and diplomacy to create the greatest empire the world has ever seen. All unit classes follow a basic advantage system. Many special units have the ability to overcome these advantages. Each faction can recruit their own special units with unique abilities. 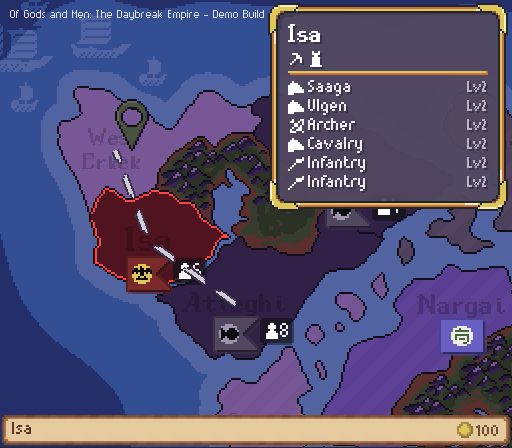 From the campaign map, you can select your territories to either command the armies on them or to upgrade and create various buildings used for producing gold and units. 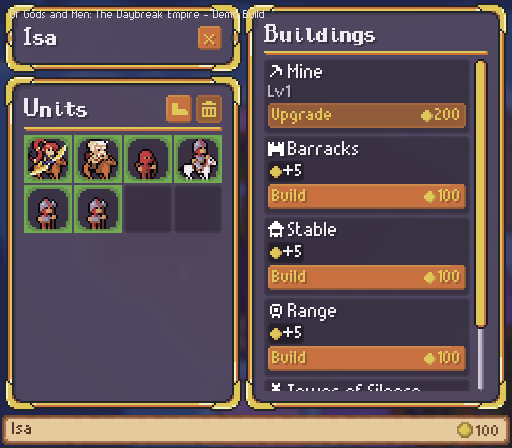 Upgrading financial buildings increases their gold yield, and upgrading military buildings increases the starting level of units produced with that building. Each faction has its own special building which, in addition to producing gold, can produce a unique special unit with varying abilities. When commanding your army to march on a territory you do not own, you will seize control if it is undefended or engage in a fierce battle with the defending army. 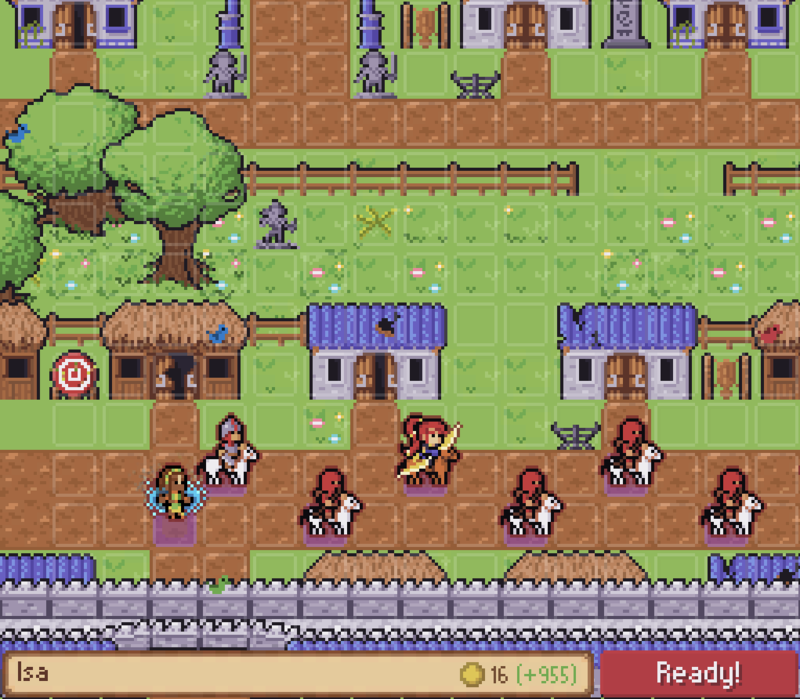 In the battle map, you will prepare your units by strategically placing them on your side of the map. 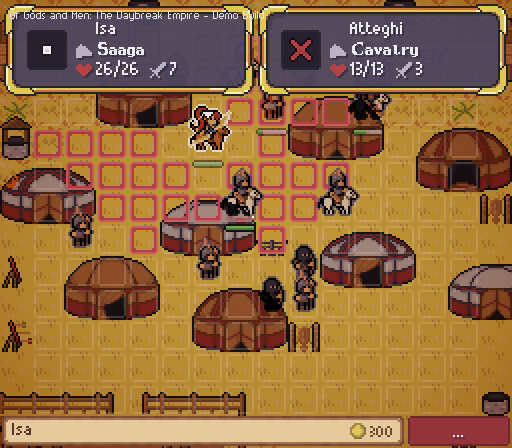 When both players are ready, you will take turns maneuvering the battlefield to eliminate all enemy units.